Come join us for a great movie for a great cause! All proceeds benefit the Sunset Alumni Association in support of Sunset High School. Limited number of tickets available. $10 online, $15 at the box office. PG-13 for sexual content including references, teen smoking and drinking, and language. 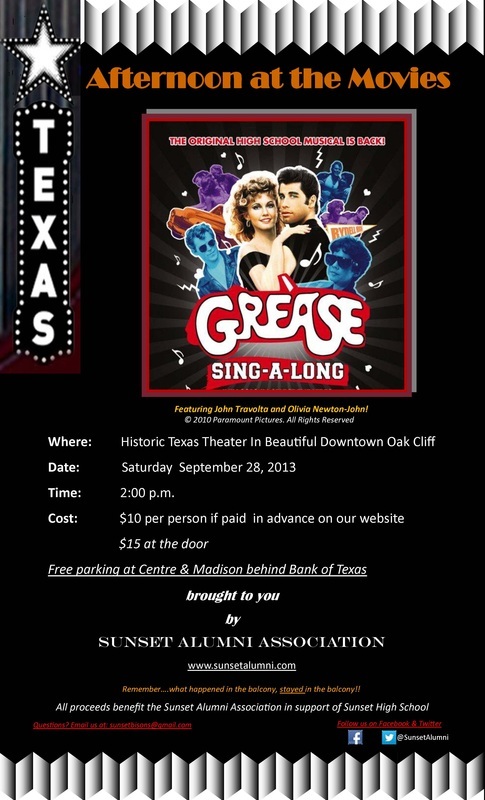 All tickets must be purchased at the Texas Theater on Saturday, 9/28.